LOIs for this grant cycle must be submitted via our online portal no later than February 12th. Invitations to submit full proposals will be sent by the end of February. LOIs submitted via email or snail mail (please, please don't snail mail us) will not be reviewed. 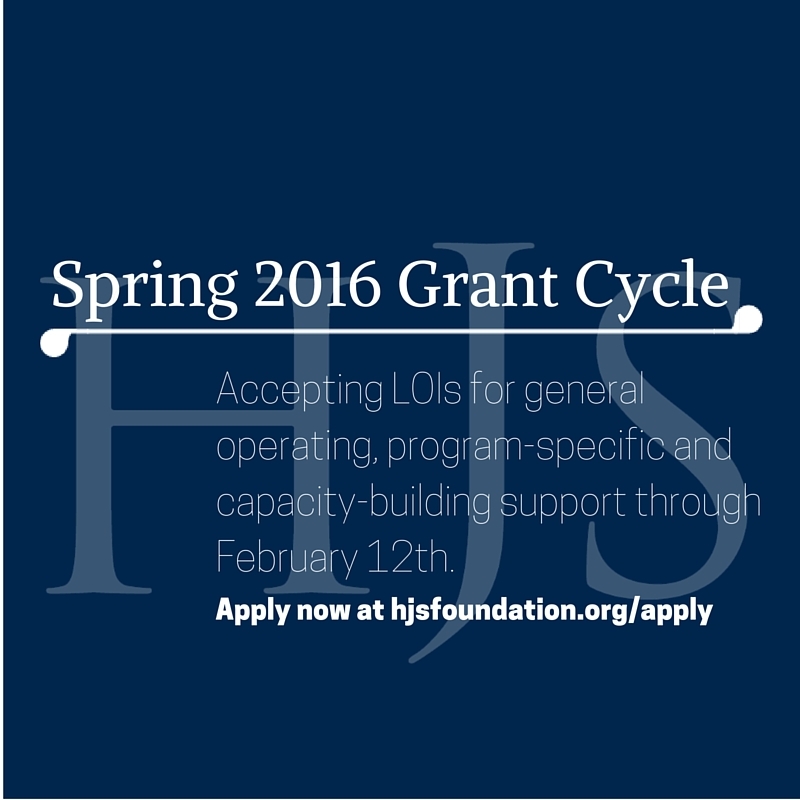 See the full timeline for the Spring 2016 grant cycle.